At KidMNML, we tend to focus on products that help families who chose to live more minimal lives. However, we cannot overlook those that do not have a choice to live in small spaces and how a simple product design can maximize the area and greatly improve the lives of millions of people. This Nested Bunk Bed was a winning entry for the 36sqm (387 sqft.) Challenge, a local design competition seeking solutions that improve the lives of people living in small spaces. Typically in South Africa, seven or eight people live in 36sqm(387 sqft.) structures. This is a condition commonly found in low cost income housing areas across the country. 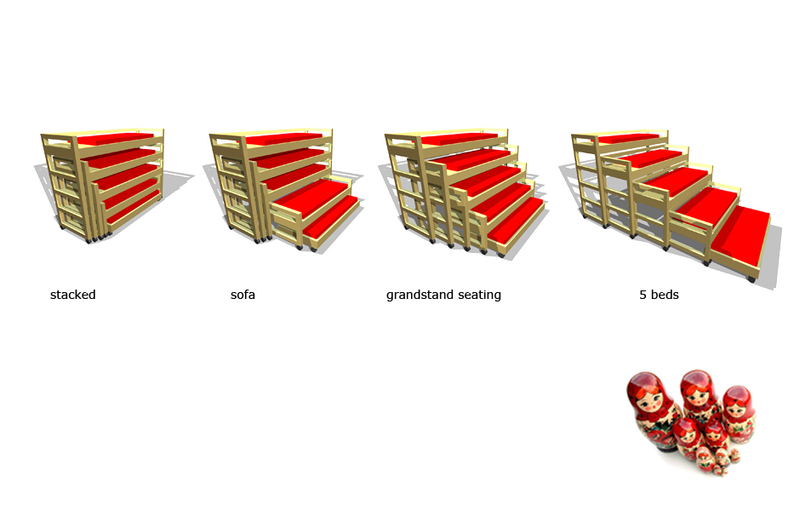 The Nested Bunk Bed was inspired by Russian Matriochka dolls that nest inside each other. The system helps provide comfortable places to sleep in confined spaces. 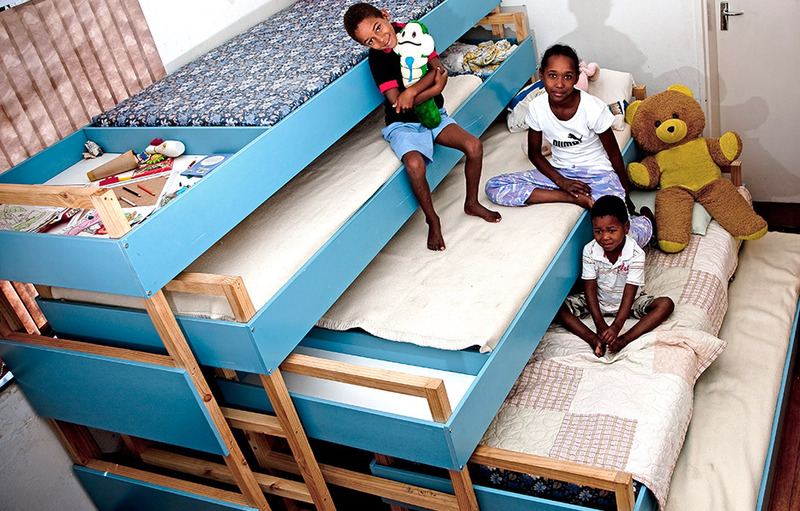 The bunk beds could accommodate as many as 20 children in a 50sqm(538 sqft.) area. They can be packed away to free up space when the beds are not in use. The full stack is a similar height as a standard bunk bed. Each of the lower sections can be pulled out to serve various purposes: a sofa for two or grand-stand style seating. When fully extended, each unit sleeps five. 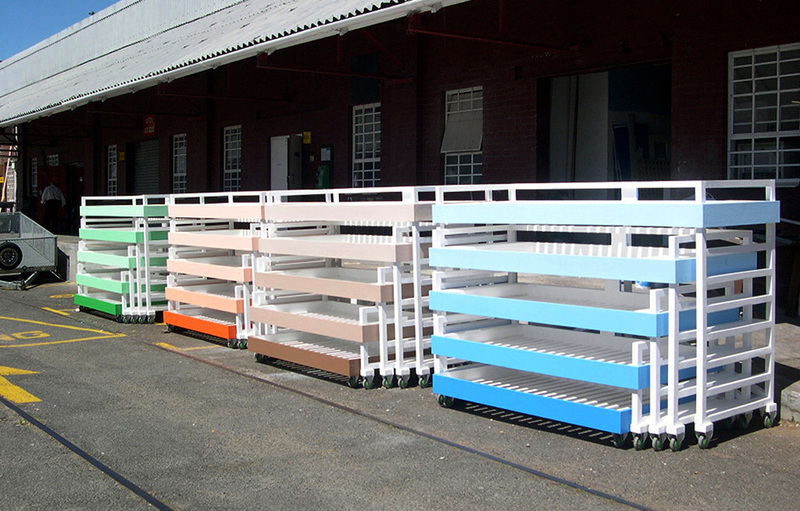 The design has won several awards, including the ‘The Most Beautiful Object in South Africa’ Award at Design Indaba expo in 2008, and the international Red Dot Award in 2007.